"Her mother always warned her about milkers, and Tr'lia's about to find out why." When Tr'lia and Lili run into two Plant milkers at the annual festival, Tr'lia quickly loses her heart--and as far as Lili's concerned, her mind. If Tr'lia's mother finds out what sort of man her daughter's clucking after, she'll go into a full blown moult. Still, the young hen can't shake the milker from her thoughts, even if his job is the most dangerous on the planet, even if her mother will kill her...and even if he leads her straight into danger. Much Ado About Bluebottles has not been tagged yet. Help others find Much Ado About Bluebottles by tagging it! 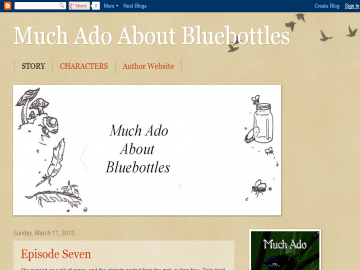 Much Ado About Bluebottles has not been reviewed yet. Much Ado About Bluebottles has not been recommended yet.